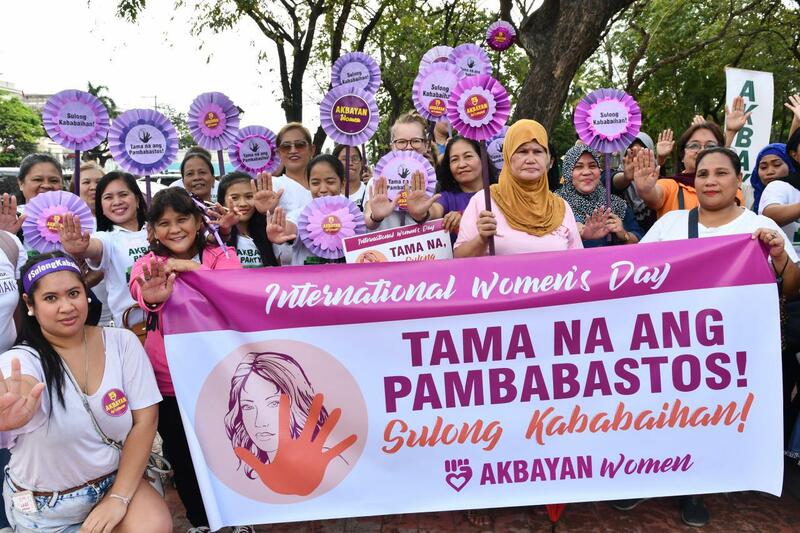 On International Women’s Day, Akbayan Partylist hopes that the 2019 midterm elections be also about women—what Filipino mothers, wives, daughters, and sisters need and want for their families. Filipino women have often been overlooked, if not deliberately sidelined, despite their significant contribution to every Filipino family, and to Filipino society as a whole. 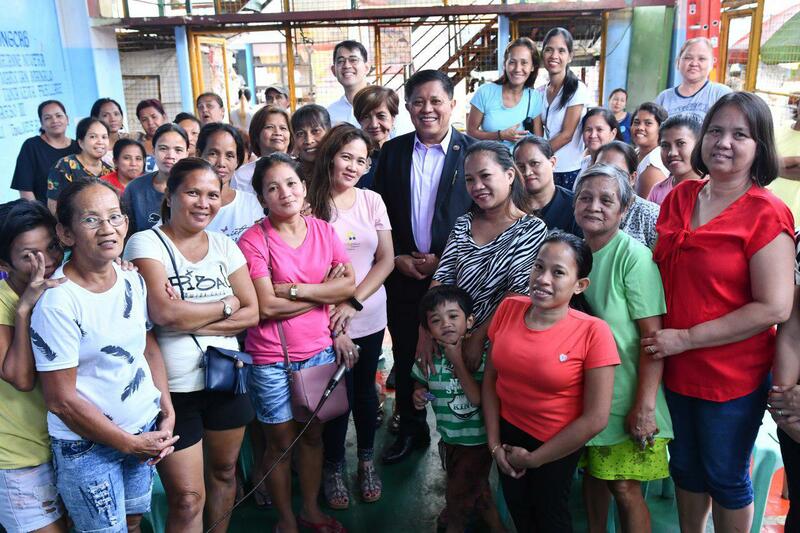 Recently passed laws such as the Expanded Maternity Leave Law, and the Universal Healthcare Law should be implemented to their full extent to serve the needs of Filipino women, and address the every day concerns of every Filipino mother who works so hard to give her children a better life. Akbayan Partylist also calls on all Filipino voters to choose candidates based on how they see and treat women, not as mere recipients of public service, but as equal partners in working for policies and programs for the betterment of Filipino society. Manila, March 8, 2019- Akbayan Women joins the historic convergence of thousands of women in La Madre Filipina Statue , Luneta Park,Manila, in a protest action against misogyny and authoritarianism. The last time women’s groups from different political lines marched together was during the Martial Law period. It was the first march to protest against the assassination of slain political leader, Ninoy Aquino. “It is time to show to Digong that we have had enough. Tama na! This is a women’s movement solidarity call for the embattled working woman, the widow of the EJK and the survivor who continues to fight. This is an intergenerational, intersectional march for sisterhood by women, for women ," said Mylene Hega of Akbayan Women. The 17th Congress writes history for Akbayan as it records the period where most of the party-list’s laws for women’s rights were passed. “Our work to resist discrimination against women, include reforms that ensures women’s right to an Expanded Maternity, better child care for the infant’s first 1000 days, the work to ensure that all spaces should be safe spaces for women. We bring the fight to the streets and we fight for reforms for women everywhere," Mylene Hega added. 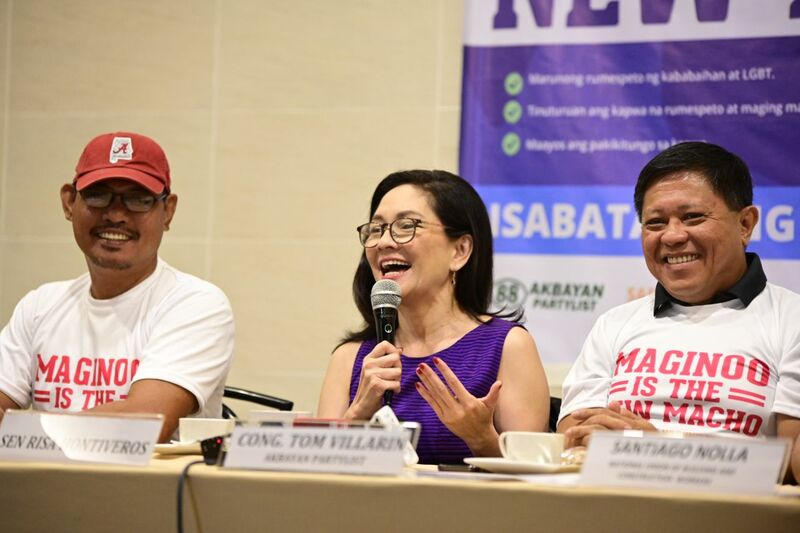 In celebration of Women’s Month, various transport groups and construction workers nationwide joined the bill’s authors Akbayan Senator Risa Hontiveros and Akbayan Partylist Rep. Tom Villarin in calling out and warning Filipino men who still perform acts of sexual harassment in public spaces, prohibited under the Safe Spaces Bill ratified last February. “Gone are the days of the old macho. Maginoo is the new macho,” said Akbayan Partylist Rep. Tom Villarin, principal author of the measure in the House of Representatives. “The days of the catcallers and street sexual harassers will soon be over. Once the bill is enacted into law, anyone found committing acts of sexual harassment in public spaces, schools, workplaces, and online will be punished with hefty penalties,” he added. As ratified last February, the Safe Streets and Public Spaces Bill enumerates several acts of gender-based sexual harassment in public spaces such as catcalling, slurs and unwelcome remarks, staring, stalking, flashing, and groping, among others; and seeks to punish said acts accordingly, up to P200,000 or jail time up to six years. 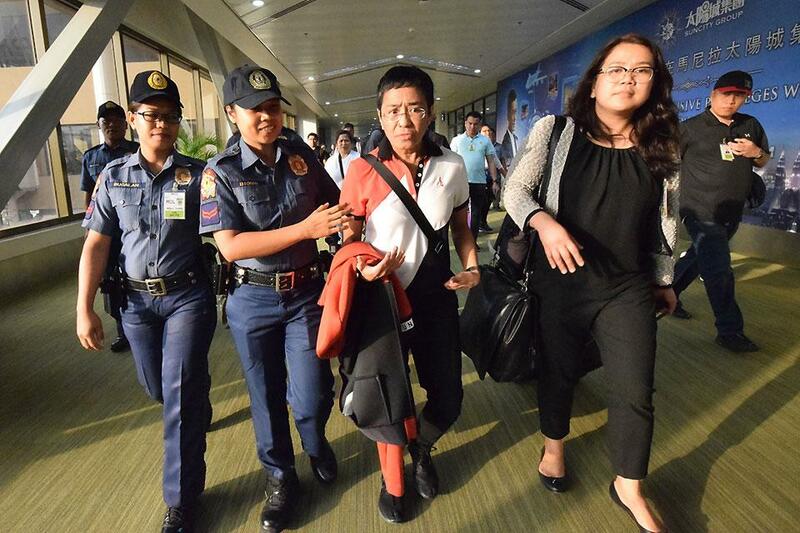 We condemn the Duterte government’s arrest of Rappler chief and TIME Person of the Year Maria Ressa, the latest of the series of actions aimed at stifling press freedom in the country. Duterte is jailing the TIME Person of the Year. It could be any of us next if, as Maria keeps on repeating, we do not hold the line. The arrest of Maria Ressa for fighting disinformation puts a target sign on all those who tell the truth. The arrest of Maria sends a chilling signal to all journalists and the public that press freedom is under attack by state forces. President Duterte will not stop until he has silenced voices who speak of the truth about his administration - hounded by extrajudicial killings, corruption, nepotism, and misogyny. This arrest is deplorable. It highlights Duterte's fear of true, free and critical journalism. We call on all journalists to stand with Maria against this brazen attack of press freedom. We call on the public to collectively hold the line, defend press freedom as a pillar of our democracy, and rally behind Maria. It is not just Maria who’s under arrest. Press freedom is under arrest. Democracy is under arrest. “It’s becoming a family affair. And it’s wrong”. Akbayan Partylist kicked off their campaign today urging voters to reject political dynasties masquerading as partylists, after reports that politicians have started to hijack the partylist system to build dynasties. 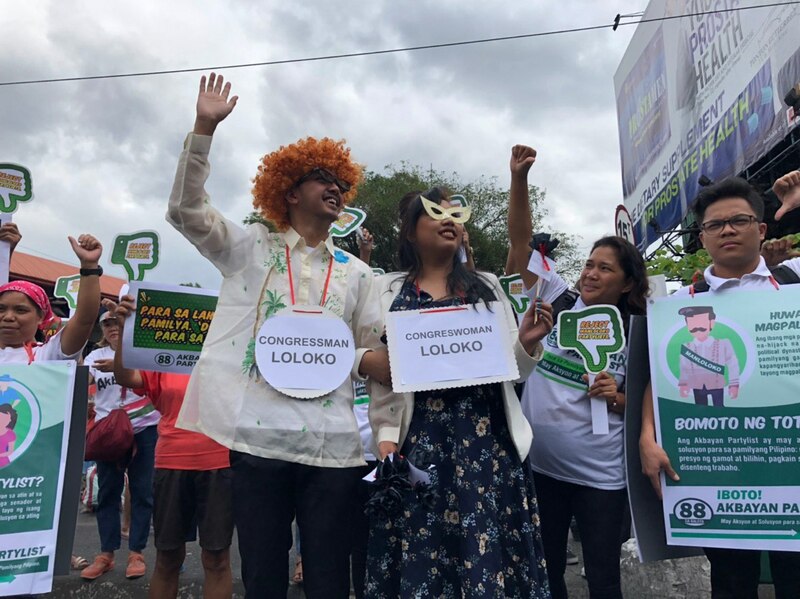 The partylist was joined by their funny take on political dynasties: Congressman Loloko and Congresswoman Loloko, wooing voters to vote for Manloloko Partylist because “a family that runs together, will win together and will steal… your hearts together “. Akbayan maintained that there are numerous “manloloko” partylists in the ballot this 2019, noting reports that nearly half, or 62 partylists, have ties with political clans and business interests. “The partylist system is not a family enterprise. It should be a space for ordinary Filipino families, the farmers, the workers and the women. It should remain that way in 2019," said Akbayan Chairperson-Emeritus Etta Rosales during their campaign kick-off at a public market in Quezon City this morning. Rosales was one of the drafters of the 1995 Partylist System Act and the first partylist representative of Akbayan in Congress. It is up to the voters now to reject those who do not embody the spirit of the partylist system, Akbayan said in a statement. “They do not represent any marginalized sector or ideology but an extension of their family politics”, Akbayan furthered.